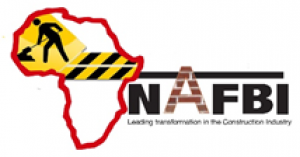 National African Federation for the Building Industry was founded in 1979. The Federation is represented in all nine Provinces of the Republic of South Africa. The Federation represents black Emerging Contractors, professionals and supplies in the construction Industry. NAFBI’s primary objective is economic access facilitation, capacity building and business linkages. The Federation is a member of Business Unity South Africa, the Construction industry transformation Charter Council, CIDB National Stakeholder Forum and Presidential infrastructure planning task team.